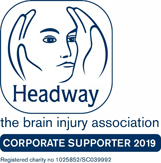 We are keen to enter awards that reflect the commitment of our staff. See below for the awards which we have been shortlisted for or won. 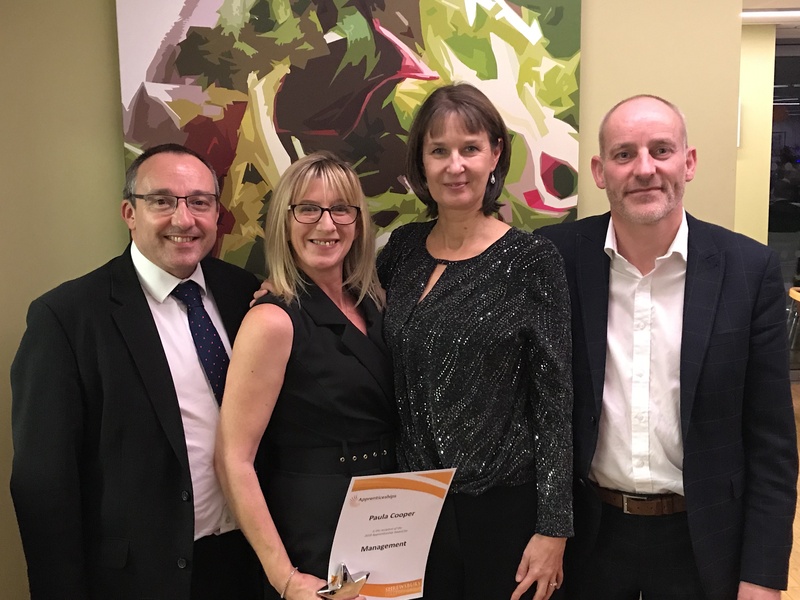 In November 2018, team leader Paula Cooper was awarded the Management Award at a county apprenticeship awards ceremony run by Shrewsbury Colleges Group. Left to right: Brian Evans, managing partner at Lanyon Bowdler, Paula Cooper, Leslie Adams, assessor from Shrewsbury College, Rowland Waddington, operations manager at Lanyon Bowdler. 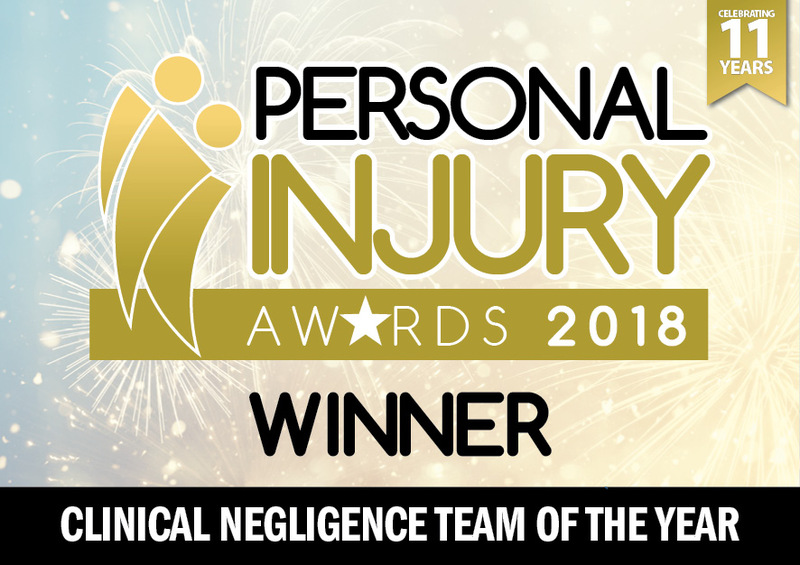 We are delighted to announce our clinical negligence team won the 'Team of the Year' in the 2018 national Personal Injury Awards. You can watch the team's submission too! 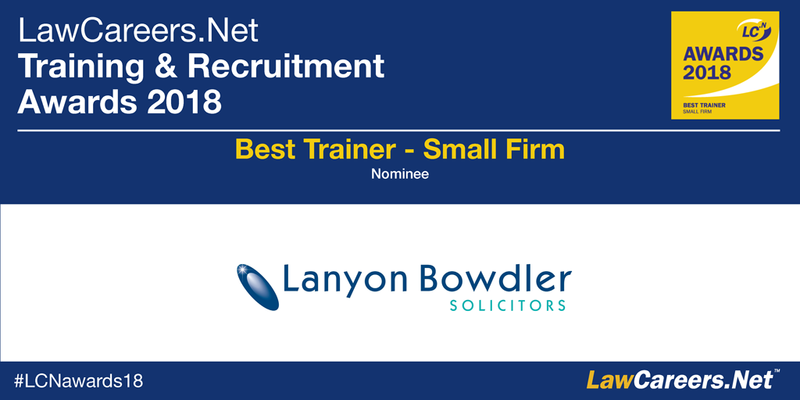 We were pleased to have once again been awarded the 'Best Trainer - Small Firm Award' in the 2018 LawCareers.Net Awards, having also won the award in 2017. 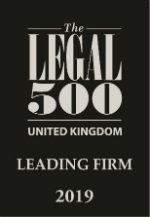 In 2009 we won Lawcareers.net’s trainee solicitor award for "Best Recruiter – Small Firm". We were also lucky enough to have won this award in 2004, and were nominated for it in 2007 and 2008. We collected three awards at the 2013 LFS Conveyancing Awards, winning a Gold in Best Website & Marketing, Bronze in Best Use of Social Media, and Emma Alsop received recognition once again by receiving a Bronze for Best Young Conveyancer 2013. The awards dinner was held in September 2013 at the Ricoh Arena. 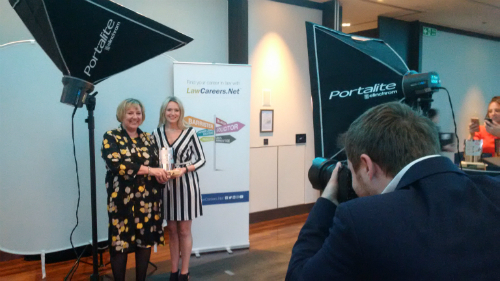 Emma Alsop collected the trophy for Young Conveyancer of the Year at the annual LFS Conveyancing Awards. The awards dinner took place in September 2012 at the Ricoh Arena. In August 2011 we were awarded a Gold Medal at the Shrewsbury Flower Show for our Sensory Seaside Garden for Severndale Specialist School. Lanyon Bowdler were Highly Commended for the LSA Award for Excellence in Environmental Responsibility, at The Law Society Excellence Awards 2010. The Awards took place at Old Billingsgate in London, on 21 October 2010. We were thrilled to win the Mike Hough Memorial Trophy and a Gold Medal at this year's Shrewsbury FlowerShow for Best Outdoor Show Garden. Our All-Inclusive Garden, on behalf of local charity Headway Shropshire, was designed by local garden designer, Mike Russell. We were delighted to win Law Firm of the Year (5-15 partners) Award at the Birmingham Law Society Legal Awards 2010. We won the Training Award in the Midlands Business Awards 2009. Neil Lorimer won the 2009 PI Lawyer of the Year (Claimant) Award. In keeping with our Green Achiever Status we entered the Shropshire Business Awards 2009 - Best Green Business and were overwhelmed by winning the award. This is a reflection on all of the hard work members of staff have put in to make Lanyon Bowdler greener and to ensure we are as environmentally conscious as possible.